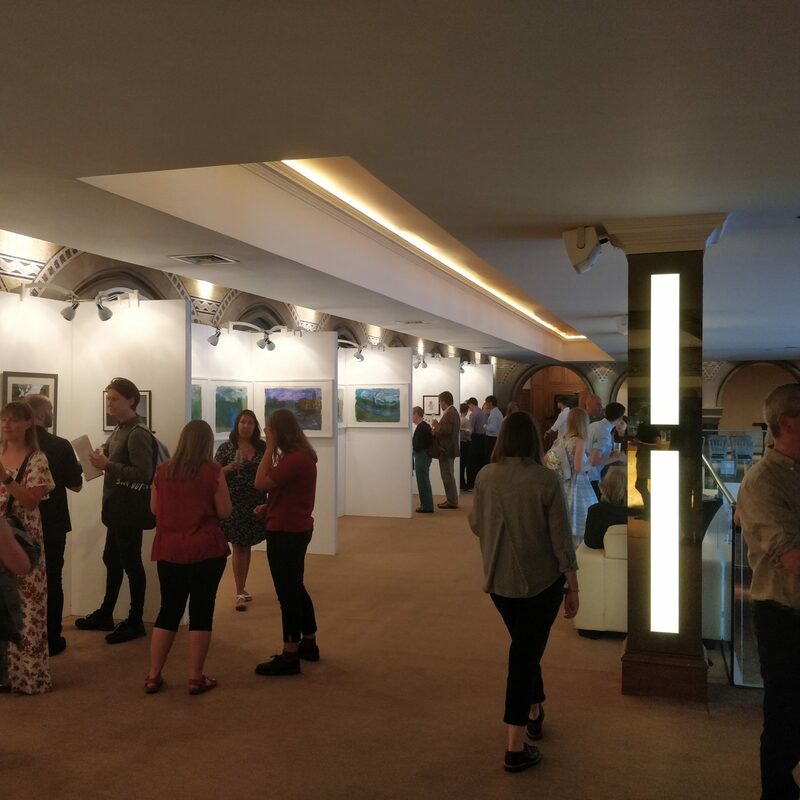 The 1st Young Artists Collection Charity Auction was a hit, auctioning 32 original pieces of art by artists aged 11-18 and raising more than £3000 for young people in Yorkshire. The Young Artists Collection is IVE’s new concept to help support the creative ambitions of young people. We asked young artists to make a new piece of art on a specific theme to be sold at auction. Those artists kept 60% of what their work sold for and the remaining 40% will go to fund our charity work with disadvantaged young people. Fountains Hall by James Thomas. James creates elaborate collages using mostly scratch cards which he used to pick up off the ground. 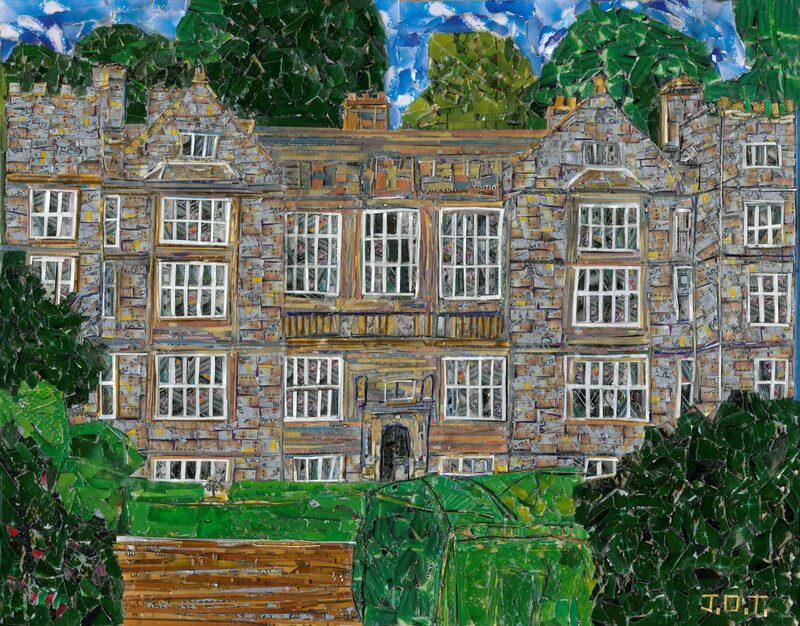 By cutting the cards into strips and rearranging them, James recreates the sights of Yorkshire in vivid patterns that reflect how he sees the world. 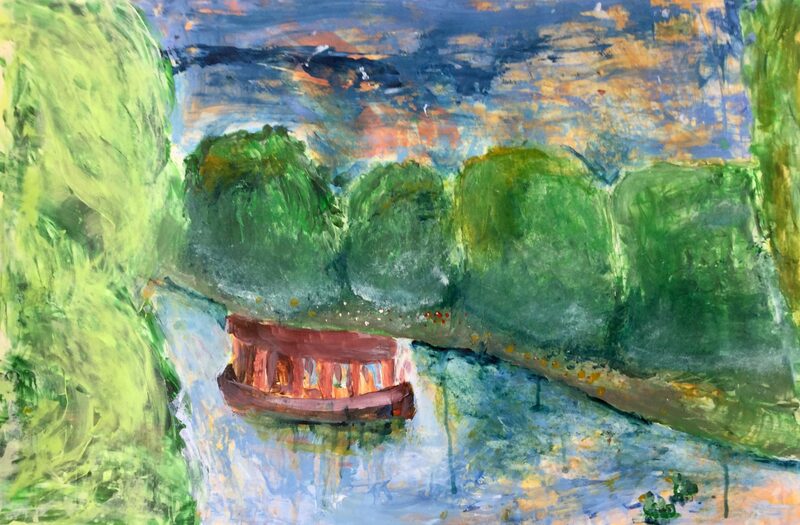 James is on the autism spectrum and had severe communication issues when he was younger but art and pictures have helped him communicate and develop his confidence and social skills. Norman by Lydia Gilbert. Lydia knew her neighbour Norman embodied the spirit of Yorkshire, a charming friendly man with a thick Yorkshire accent who is never seen without a flat cap. 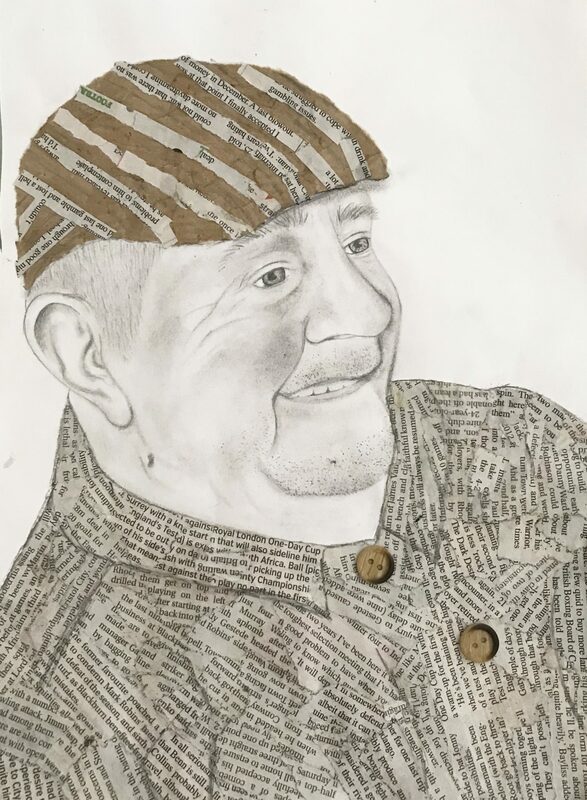 Norman was created using a mixture of pencils and cuttings from the Yorkshire Mail. Many of the works came from the Young Masters Visual Art School in Bradford who provide arts classes for 5-16 year old pupils on a weekly basis. Most of the Young Masters Visual Art School pupils pay a subscription which allows them to also provide complimentary arts lessons for children with autism or learning disabilities. 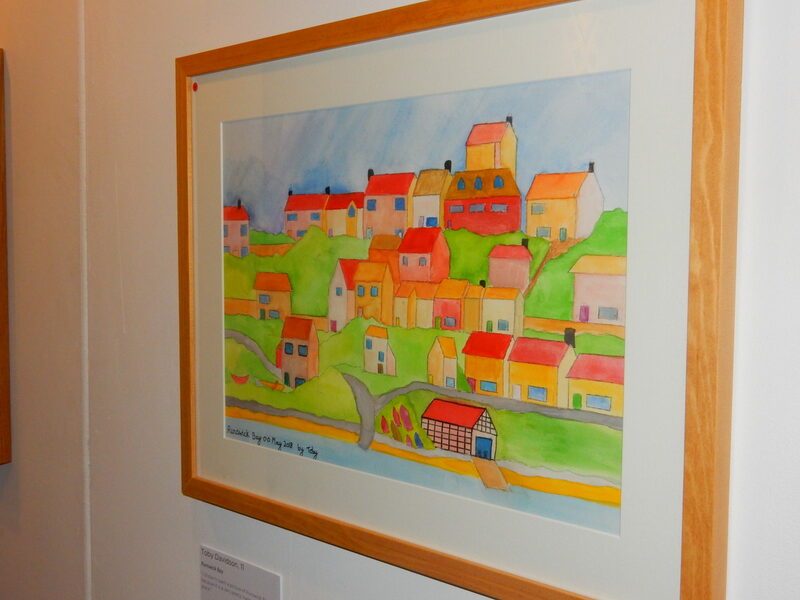 One entrant from the school, Darcy Whymark with his piece “Gods Own County” fetched the highest price of the night at £200. 32 winning entries were selected by a judging panel consisting of Jonathan Straight (street photographer and trustee at IVE), Mat Lazenby (Creative Director at LazenbyBrown) and Amanda Phillips (Education Officer at Leeds Art Gallery). The auction took place at Aspire in Leeds on the 24th of July. All of the young artists were invited to attend and meet with buyers from local and international businesses to explain the thinking and process behind their work. 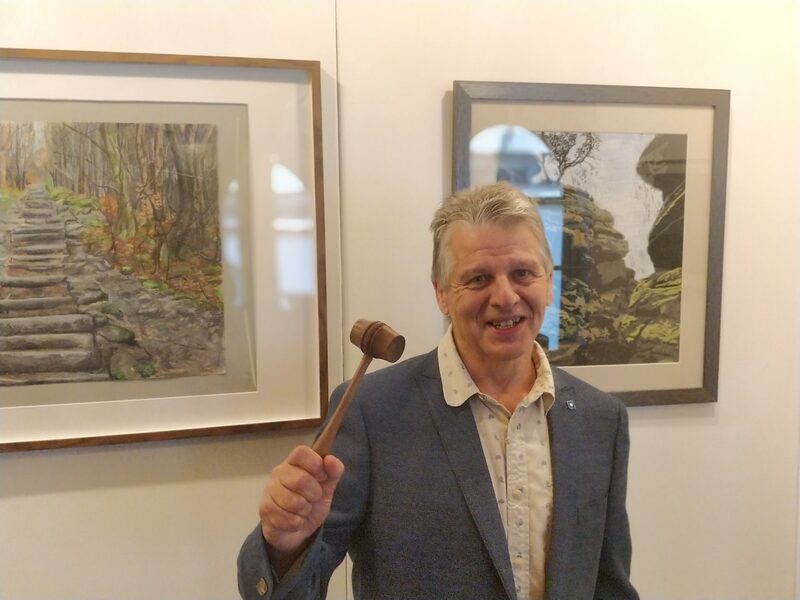 The auction was led by Gary Don who graciously volunteered his time and charmed the bidders into buying nearly all of the pieces available. As well as money in their pocket, many of the young artists commented on how much confidence being selected and then seeing their work sell had given them. Lots of the artists we spoke to had never entered their work into a competition before or considered that someone might want to buy it. Knowing that what they do has value has given them confidence not only to work harder at their art but to know that they can achieve something. All the money raised will be used to fund Shaping Creative Futures, IVE’s programme working with disadvantaged young people to develop their creative, social and work skills. Shaping Creative Futures addresses a number of interrelated issues facing the UK. Firstly, that the changing nature of work, A.I. and automation are eliminating many jobs. Those jobs that will remain and which cannot be replaced by automation focus on creative skills and problem-solving. Secondly, that the creative industries are facing a skills shortage. Creative industries such as web design, gaming, film and many others are growing at twice the rate of the rest of the economy but that growth is in danger of being slowed by a lack of people to fill creative roles. Lastly, that many young people do not get a chance to experience creative activities in school anymore, particularly at Secondary level, due to changes in the curriculum and exams. Shaping Creative Futures will solve these issues by equipping young people with the skills to fulfil the creative roles our future economy needs. Young people on the programme will gain the opportunity to experience different creative activities from diverse industries, many of which they might not have tried before. They will participate in workshops to improve their: critical thinking, problem-solving, ability to work independently and as part of a team and other crucial skills for any future career. They will be supported by mentors in the creative industry they wish to pursue to build a career trajectory and become ready to work or progress into higher education. Through this, we hope to produce the next generation of creative workers and entrepreneurs. If you would like to find out more about how you can support Shaping Creative Futures or other IVE projects please contact jo@weareive.org Or simply donate to the project today using our donate button. If you’re interested in joining the Young Artists Collection, we should be sending out details for the next set of entry rules later this year. To make sure you don’t miss any news, why not subscribe to our newsletter or follow us on Facebook.